Actually grown in Souther Indiana and delivered same day as harvested. 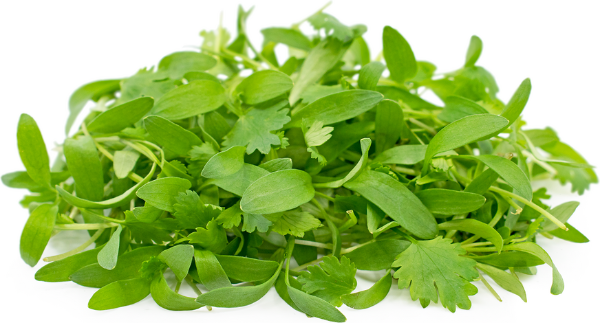 Micro Cilantro has a crisp, sweet, citrusy aroma with a clean, bold, classic cilantro taste. Pairs well with avocado, carrots, zucchini, tomato, coconut milk, citrus, ginger, mint, lemongrass, chile peppers, yogurt, chicken, lamb, and white fish. Contains vitamins A, B, C, E, and K, beta-carotene, calcium, iron, potassium, zinc, and phosphorus.